Hezbollah Deputy Secretary General Sheikh Naim Qassem stressed on Friday that “we are witnessing the complete defeat of the takfiri scheme,” adding that the terrorist groups in Arsal barrens had been the source of the car bombs and seditions targeting Lebanon. Sheikh Qassem added that Hezbollah challenged the takfiri groups for their role in serving the Zionist and American interests. His eminence considered that the Zionist electronic gates installed at Al-Aqsa Mosque reflect the Israeli fear of the Palestinians’ faith and ability to challenge their schemes. 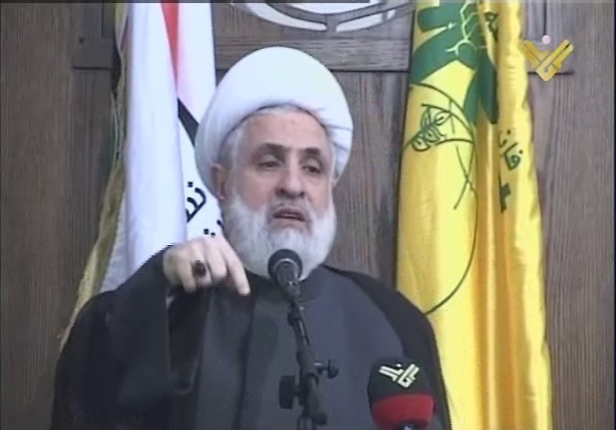 Sheikh Qassem cited 2006 War as an example which stresses that Hezbollah despite the meagerness of materialistic abilities managed through the divine awful internal support.